There are many advantages to establishing a business as a limited liability company or “LLC,” including pass-through taxation as well as flexibility in ownership, management, and profit distribution. 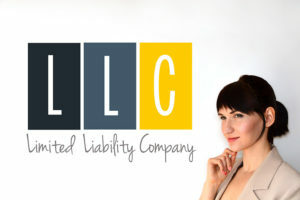 The protection against personal liability an LLC offers its members is perhaps the most attractive for many individuals. Absent a personal guarantee, and assuming the LLC formalities are maintained (e.g., members do not comingle personal and company funds or use the company credit card to pay for things like personal groceries), the entity will, in most cases, shield its owners from individual liability. The “limited liability” in an LLC means that the only money at risk, for the LLC members, is the amount they invested in the enterprise – their liability is limited to their respective investments. For example, if the business can’t pay a vendor, lender, landlord, or other creditor, that creditor might obtain a judgment against the LLC to satisfy the debt. While the creditor may go after the LLC’s bank accounts or property, the LLC’s members are shielded from any personal liability for the debt. Negligently injuring someone during the course of business. Engaging in fraudulent, illegal, or reckless activity during the course of business that causes harm to the company or another person. Not depositing taxes that are withheld from employees’ wages. In other words, forming an LLC will not protect the members against personal liability for their own negligence, malpractice, or other personal wrongdoing that is related to the business. Also, most creditors want to know they are protected if an LLC doesn’t survive, so they usually require personal guarantees for business loans and business credit cards. In these situations, if a member of the LLC signs a personal guarantee, he or she is, indeed, personally liable if the LLC’s assets do not cover the outstanding debt. Whether you are a sole proprietor interested in discussing the advantages of creating a formal business organization to protect your personal assets, or if you have an existing entity and would like a review of the company’s operations, ownership, or structure, we are here to help! To discuss your situation, please contact Kate Gadbois at kgadbois@kehb.com or (269) 324-3000.